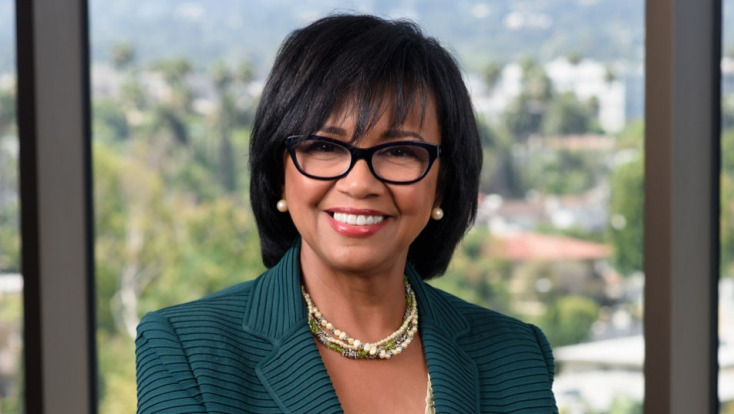 Cheryl Boone Isaacs was re-elected president of the Academy of Motion Picture Arts and Sciences Tuesday by the organization’s Board of Governors, it was announced today. Boone Isaacs is beginning her fourth term as president and her 24th year as a governor representing the Public Relations Branch. Also re-elected to their posts: Jeffrey Kurland, First Vice President (chair, Awards and Events Committee), John Bailey, Vice President (chair, Preservation and History Committee), Kathleen Kennedy, Vice President (chair, Museum Committee) and Jim Gianopulos, Treasurer (chair, Finance Committee. Elected to the board for the first time are Nancy Utley, Vice President (chair, Education and Outreach Committee) and David Rubin, Secretary (chair, Membership and Administration Committee). Boone Isaacs heads CBI Enterprises, where she consults on film marketing efforts. She is currently an adjunct professor at Chapman University’s Dodge College of Film and Media Arts and serves as a trustee of the American Film Institute.